Miu Miu is an Italian high fashion women's clothing store. It is part of the Prada company and has grown significantly in the last few years. The advertising videos of the company have also gained recognition and given a taste of the unique and chic fashion of the brand. With Big Apple Buddy’s personal shopping service, you can now buy direct from the Miu Miu online store anytime, anywhere. 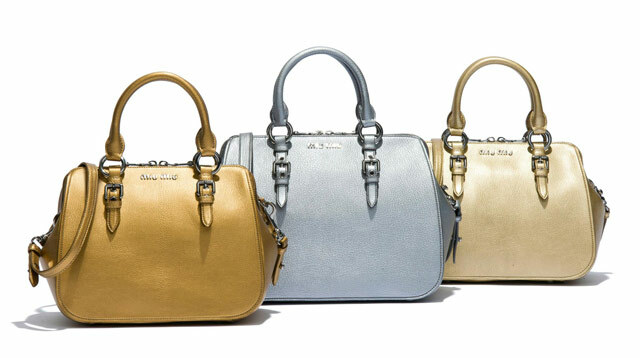 The handbag collection from Miu Miu is one of the most exclusive and latest in the fashion world. You can't go wrong with the Shoulder Bag with Lux Madras goat leather! With a one-of-a-kind style that will leave everyone looking and is practical nevertheless with multiple pockets. The sliding shoulder strap allows versatility to be worn two ways, a short double or a long single, however you want it. Looking for something easier to carry? 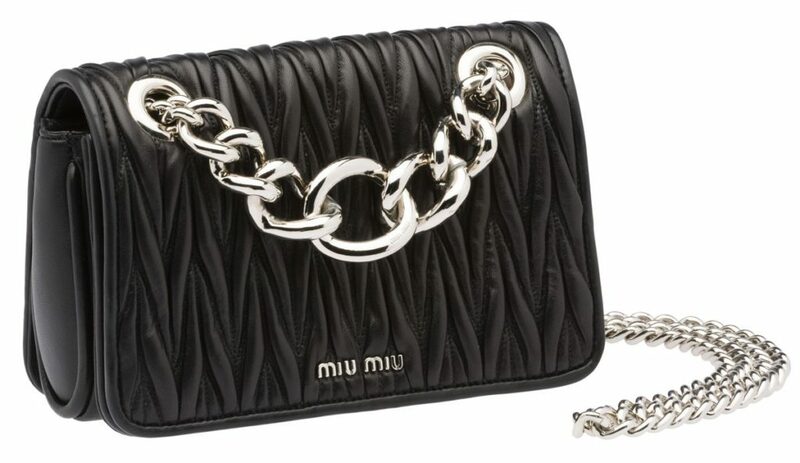 The Miu Miu Shoulder Bag with Stripped Nappa Leather is a cute and chic option that is perfect for those fun nights out. You have multiple ways to wear this bag and still rock the style no matter how you adjust the strap. Having trouble combining with your outfit? No worries! This shoulder bag comes in seven different colors so you'll always find your taste. You can never have too much space! The Miu Miu Hobo Bag with Cloquet Nappa Leather is the ultimate combination of practicality and fashion. It's big enough to fit all your essentials and more in this comfy bag. The hand-stiched design guarantees a high-quality material and durability so you'll never have to get another bag again! Neither your arm nor shoulder will get tired with this comfortable accessory. Unfortunately, the USA Miu Miu online store does not currently offer international shipping. However, Big Apple Buddy, your personal shopper, can help you buy products direct from the official USA Miu Miu online store and ship them to your doorstep, no matter where you are in the world. We offer international shipping to over 110 countries including Australia, Austria, Azerbaijan, Bahrain, Belgium, British Virgin Islands, Brunei, Bulgaria, Canada, Chile, Costa Rica, Croatia, Czech Republic, Denmark, Estonia, Fiji, Finland, France, French Polynesia, Germany, Gibraltar, Greece, Greenland, Hong Kong, Hungary, Iceland, Indonesia, Ireland, Israel, Italy, Japan, Jordan, Kuwait, Latvia, Liechtenstein, Lithuania, Luxembourg, Macau, Malaysia, Maldives, Malta, Marshall Islands, Mauritius, Monaco, the Netherlands, Netherland Antilles, New Zealand, Norway, Oman, Poland, Qatar, Romania, San Marino, Saudi Arabia, Serbia and Montenegro, Seychelles, Singapore, Slovak Republic, Slovenia, Spain, South Africa, St. Lucia, Sweden, Switzerland, Taiwan, Thailand, the UAE, the UK, Vatican City, and Vietnam. If you would like to buy from the USA Miu Miu online store, simply let us know which items you would like to order (by filling out the form below) and we’ll get back to you with a free international shipping quote within 24 hours!